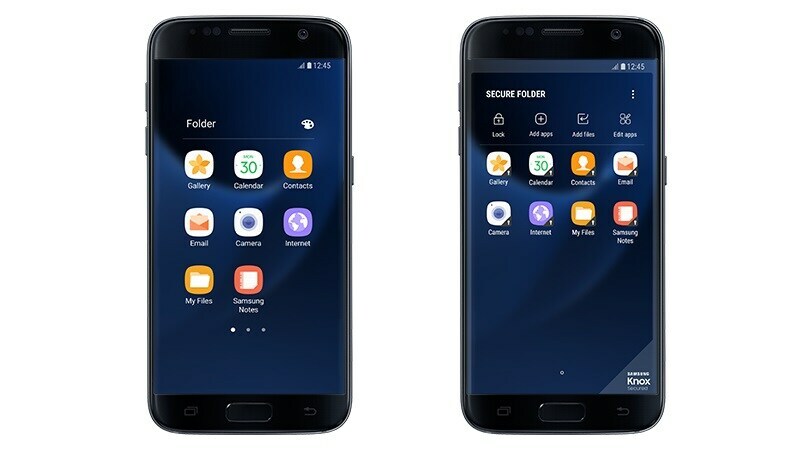 Samsung’s Secure Folder app, the downloadable form of which was leaked recently and supposedly teased the design for company’s upcoming Galaxy S8 smartphone, has now been officially made available for Galaxy S7 and Galaxy S7 Edge smartphones. However, one important thing to note about this app is that it is compatible only with Samsung Galaxy smartphones running Android 7.0 Nougat or later versions and has to be be downloaded from Galaxy Apps store. The Samsung Secure Folder was initially launched with Galaxy Note 7 and also made its way to some Galaxy A-series models. It uses Samsung’s “defence-grade” Knox security platform to create a private, encrypted space for users to store their apps, images, and documents, the company said in its release. Users can benefit from this feature by storing and encrypting their personal and private content. “Apps and data moved to Secure Folder are sandboxed separately on the device and gain an additional layer of security and privacy, thus further protecting them from malicious attacks,” Samsung said. Users can make copies of their favourite apps and access them via alternate profiles. The browsing history for apps within the Secure Folder will be kept separate from the same apps outside the Folder. This feature can be beneficial for those who want to keep their banking information safe while handing out their devices to colleagues or friends, Samsung points out. In order to move the content to the Secure Folder, users need to just choose the Move to Secure Folder option from native apps like Gallery, Contacts, and My files, or by simply tapping Add files inside Secure Folder. Samsung further allows users to customise the Secure Folder app by changing its name and icon. Users can also choose to hide the Secure Folder icon from their home screen altogether by using Quick Panel. Further, users can use PIN, passcode, pattern, or biometric verification such as fingerprint authentication to get access to the Secure Folder. The app supports cloud-based backup to help users transfer data between phones but ensures security even in this aspect as data backup from Secure Folder is kept isolated from the general backup files of the device. The data from the Samsung Secure Folder app can only be restored from Settings inside the app by original Samsung account users. The South Korean company says that it plans to extend the support for Secure Folder app to other Samsung Galaxy smartphones soon (presumably when they get Android 7.0 Nougat). The earlier leak of the Samsung Secure Folder featured a smartphone render that teased a near bezel-less design believed to be of Samsung’s upcoming Galaxy S8 smartphone. The renders showed a smartphone without home button, giving fuel to earlier leaks that suggested that Samsung might finally ditch the signature Home Button below the device’s display.